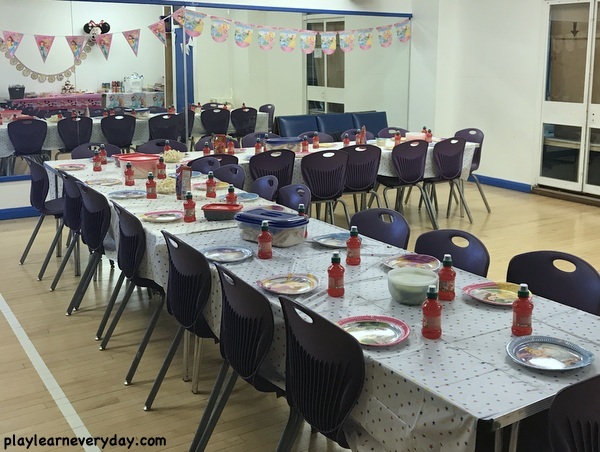 We had the party at a gymnastics venue, so the children spent the first hour running, jumping and balancing in the huge gym room. 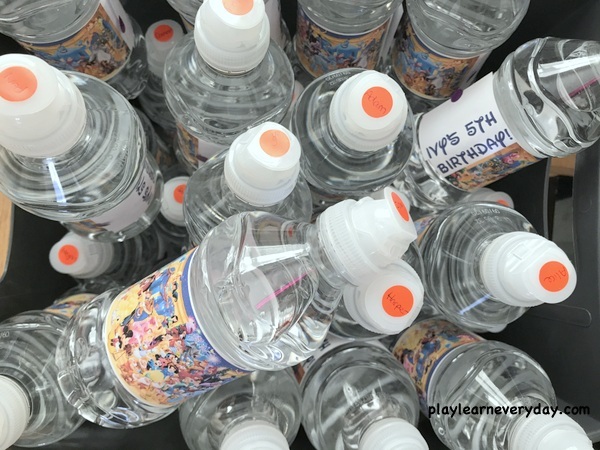 I couldn't decorate in there, but I did have water bottles with Disney labels and name stickers on them for when they got thirsty. They then came over into the party room for some party food! 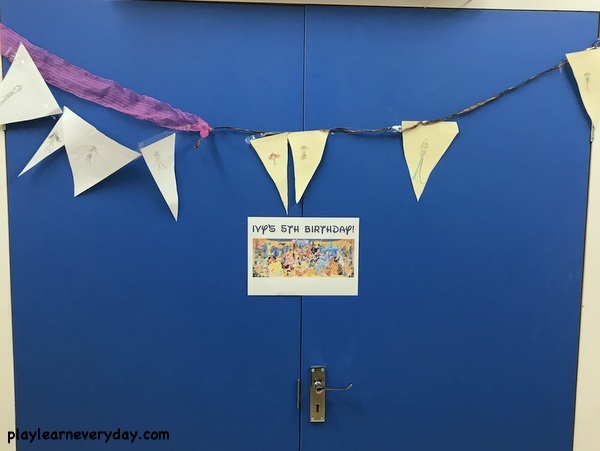 I was able to decorate the party room, but as I didn't have a long time to set up I tried to keep the decorations quite simple. 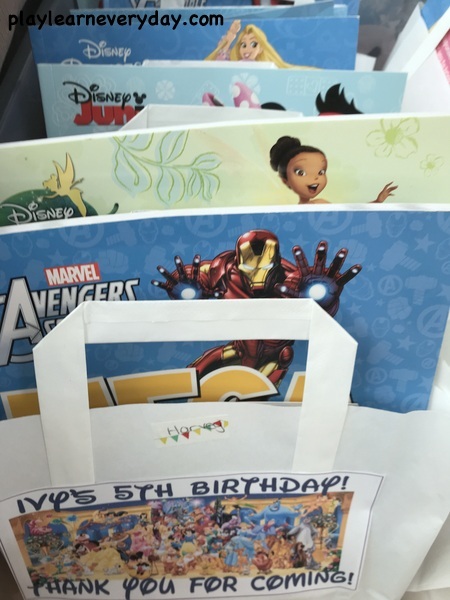 I always have the most fun making party bags, and this party was no exception! 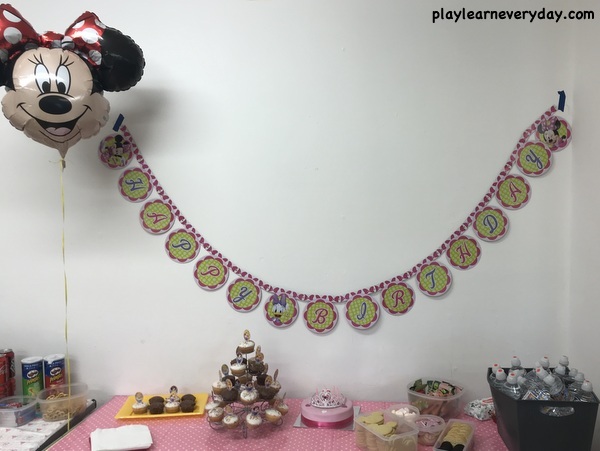 Ivy had such a lovely time at her Disney themed party, she dressed as Princess Aurora and even got to wear the tiara from her cake. 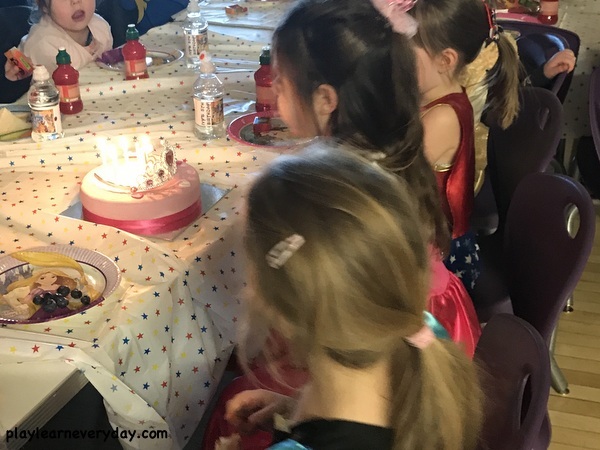 She was thrilled to be princess for a day and to share her special day with her friends.